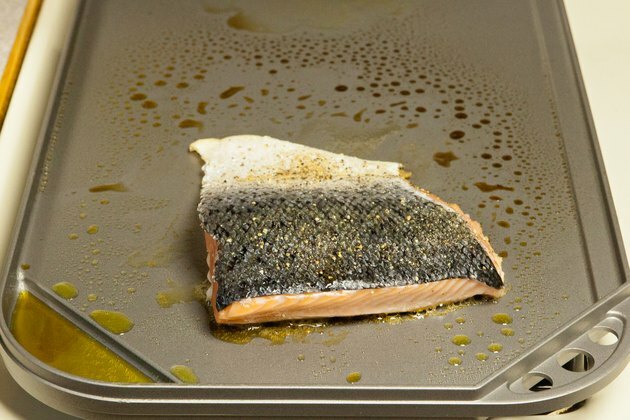 Griddles are handy for pancakes and toasted sandwiches, but they also work wonderfully well for cooking fish. Salmon is both firm and tender and does not release a lot of juices when cooking, so it’s not necessary to contain it within the high sides of a skillet. Cook salmon on a flat griddle for a flawlessly pink exterior, or use a ridged griddle to create lusciously dark grill stripes across the top of the fish. Season both sides of the salmon with salt and pepper. 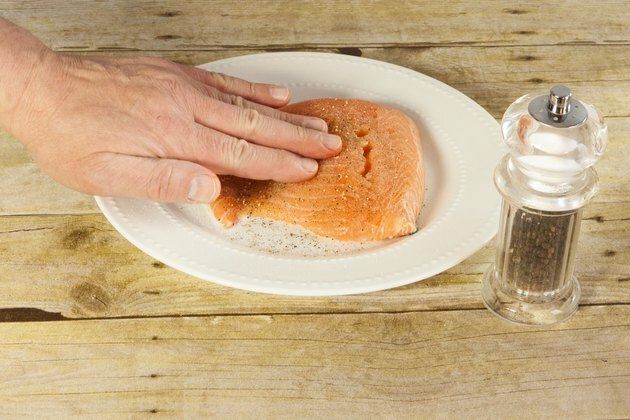 Pat the seasonings gently into the fish with your fingers. Wash your hands thoroughly with soap and hot water afterward. 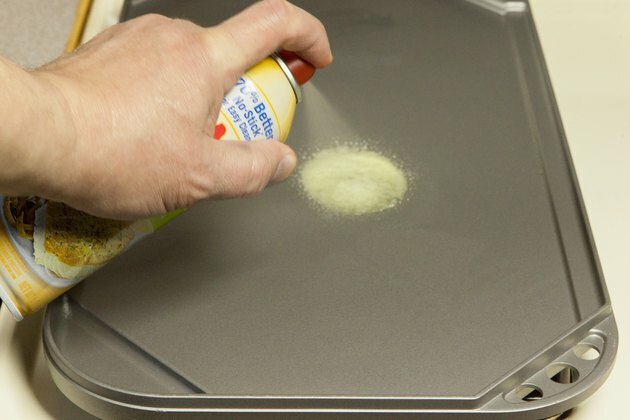 Coat your griddle with a light spritz of olive oil spray. Any nonstick spray will work, but olive oil adds a bit of flavor. Heat the griddle to medium high until a drop of water spattered on it spits and sizzles. Place the salmon on the griddle with the skin side down. Cook it for 3 to 5 minutes. 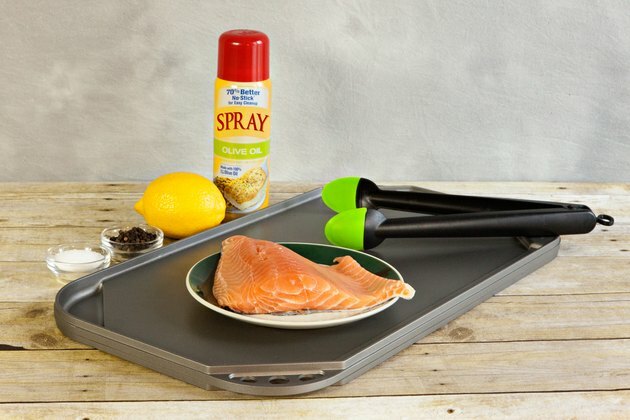 Slide a spatula under the salmon and carefully free it from the griddle. Flip it over so that it is skin-side down. 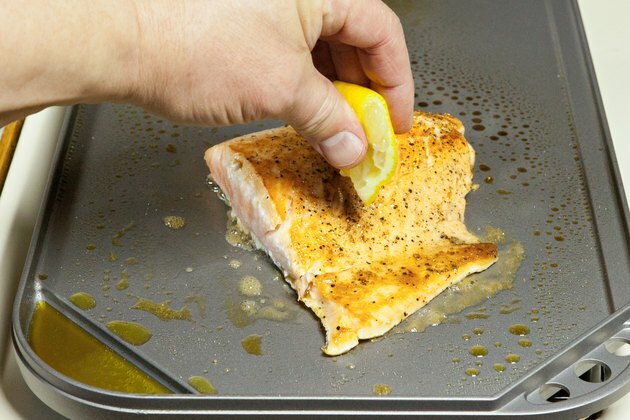 Sprinkle a bit of lemon juice over the salmon, being careful that it doesn’t splatter you when it hits the hot griddle. Season the salmon with the spices of your choice. Herbes de Provence complement salmon, as do lemon pepper, thyme and sage. Cook the salmon for another 3 to 5 minutes, or a total of 10 minutes per inch of thickness. The salmon is done when it is opaque and flakes easily with a fork. Heat corn tortillas on the griddle and serve them with the salmon and fresh pico de gallo for quick fish tacos. 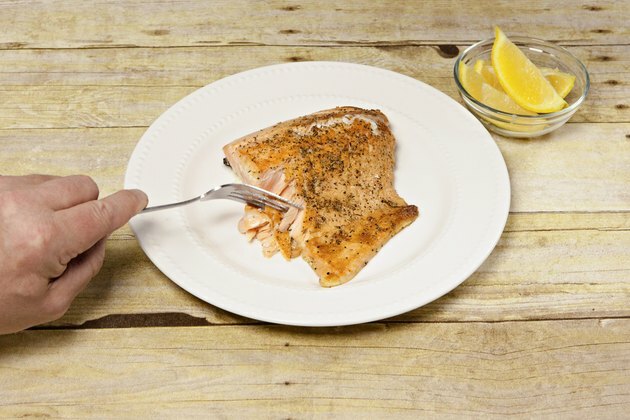 Do not turn salmon with a fork because it tends to fall apart when cooked through.